Freedom is a condition in which people have the opportunity to speak, act and pursue happiness without unnecessary external restrictions. Freedom is important because it leads to enhanced expressions of creativity and original thought, increased productivity, and an overall high quality of life. Freedom must be redefined and defended anew by each generation. History champions the stories of great people who have changed the world by advocating and fighting for human and civil rights. The South African anti-apartheid revolutionary movement campaigned for their leader’s release. Nelson Mandella was in prison serving a life sentence on charges of sabotage and conspiracy to overthrow the government. After 27 years in prison, he was released in 1990; three years later he was awarded the Nobel Peace Prize with F.W. de Klerk for their work to undo South Africa’s racist apartheid policies. In 1994, Mandela was elected South Africa's first black president. "I tell my story, not because it is unique, but because it is not. It is the story of many girls." After being shot by the Talibans and surviving the attack, Malala has become famous as an activist for female education becoming an example for all the women in her country, Pakistan, and not only. 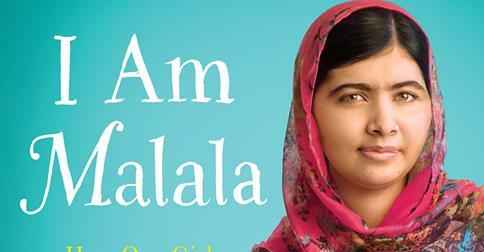 In 2014 she got the Nobel Peace Prize for her campaign for the rights t education of women . "Freedom is not voluntarily given by the oppressor; it must be demanded by the oppressed." Martin Luther King was born in Atlanta on January 15 1929. In his life he fought for black people’s rights. He organized marches, protests and a lot of people followed him. He didn’t use violence because he deeply believed in peace. In the 11-year period between 1957 and 1968, King travelled more than 6 million miles and spoke more than 2,500 times, appearing wherever there was injustice, protest and action — all the while authoring five books and numerous essays. At the age of 35, King was the youngest man to have ever received the Nobel Peace Prize. Unfortunately, he was assassinated four years later in 1968. Singing has always been one of the greatest forms of freedom. This song wants to send a message of hope to all those in trouble: the only thing that makes us really strong and powerful is Freedom! Do you know any other famous person campaigning for freedom? Any good quote about freedom? Tell us in the comments. Did you ask for a quote about freedom? Here's a good one from Bob Dylan: "A hero is someone who understands the responsibility that comes with his freedom".